Strawberry Rhubarb Crisp is a quick and easy springtime dessert that is perfect for last minute guests. 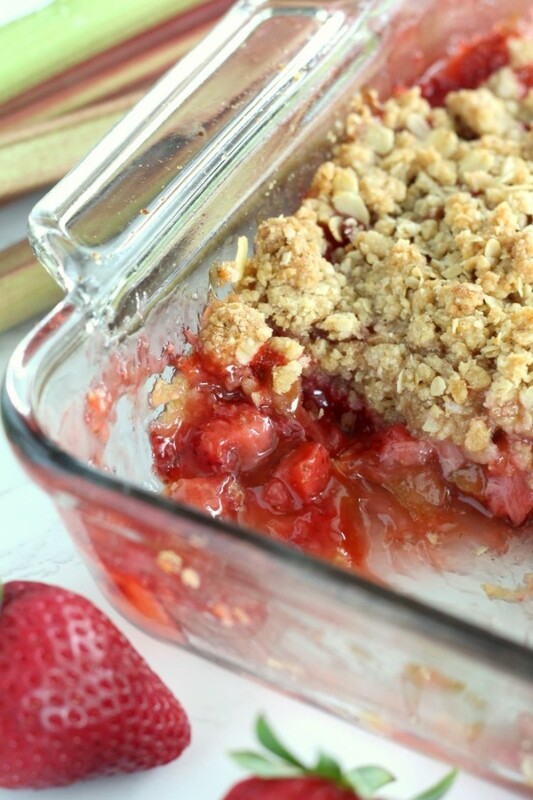 Fresh rhubarb and sweet strawberries topped with a crunchy oatmeal crumble make a dessert no one will forget. Top with whipped cream or vanilla ice cream. Recipe 2 for my rhubarb week is here! 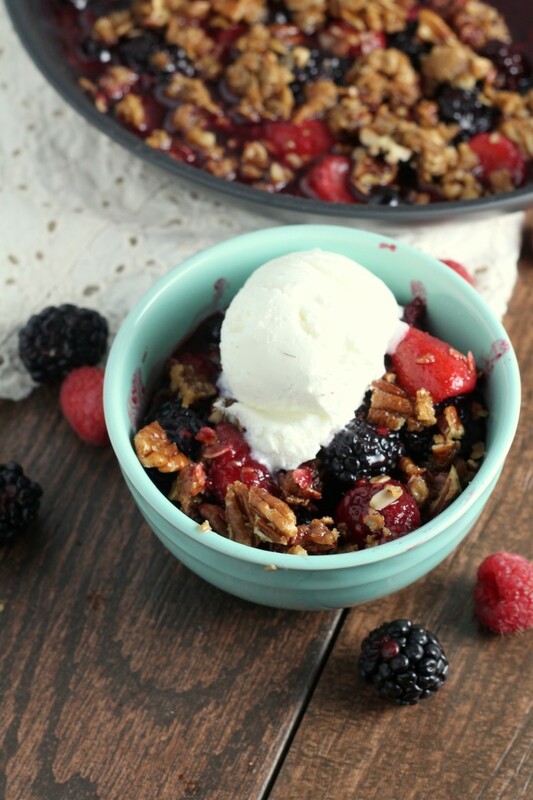 It’s a super easy Strawberry Rhubarb crisp. (You can find the Rhubarb Streusel Muffins and Old Fashioned Rhubarb Pie from the rest of the week). Rhubarb Bars and Rhubarb Crumb Coffee Cake are my other favorite rhubarb recipes. This screams spring like no other dessert. I’m ready for all the fruit crisps this year, blackberry, peach, pear. Thankfully local produce is here. In my own garden this year, I wanted to get some rhubarb starts planted so I could have my own harvest next year, unfortunately that didn’t happen, but the strawberry roots I planted are looking good, so I’ll be halfway to making this crisp next spring.